You’ve probably heard that Tokyo is a mecca for game lovers, anime worshippers, art curators; but maybe you didn’t know that it is also a paradise for the lesser known fabric junkies. If you are wondering where to buy fabrics in Tokyo, you’re in luck. Besides those found at the famous Nippori Textile town, there are dozens of unique and affordable piles to dive into. So allow yourself to be swayed by the thought of running your fingers through thousands of spools offered at these five one-of-a-kind shops. Tokyo’s fabric shops hold unlimited project possibilities! You might already have something in mind for your textile purchases, but if you want to find out more about some traditional Japanese uses, check out our guides to Tenugui and Noren Curtains! Nippori Textile Town is a renowned location for the handy dressmaker and curious tourist alike. Amongst the dozens of shops in the area, Tomato certainly stands out. With five floors and four sister stores for various crafting specifics, if there is a fabric you’re looking for, they definitely have it (though you may need to do some digging; it is a truly massive shop). They carry both traditional and more modern textiles for a broad range of creative needs. Hours: 10am to 6pm, closed on Sundays. Transport: 7 Minute walk from Nippori Station. Shinjuku may be known as a hub for entertainment and cheap drinks, but it is also home to many of Tokyo’s low-cost textile stores. 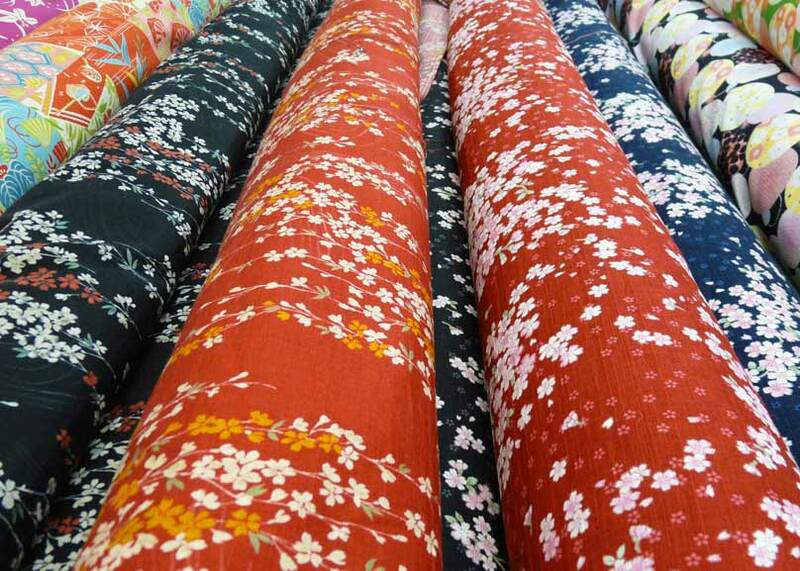 Okadaya has a fine selection of pre-cut and discounted fabrics among its regular wares. It is an excellent shopping spot for those who enjoy a little guidance in their practice, as there are helpful tips and themed projects located across the store. Okadaya also has another branch for sewing accessories, which stores everything you need for that finishing touch. Aside from currently trending patterns, they also sell more traditional fabric for kimono, as well as a plethora of specialty craft textiles. Hours: 10:30am to 8:30pm everyday. Transport: 5 minute walk from Shinjuku Station. 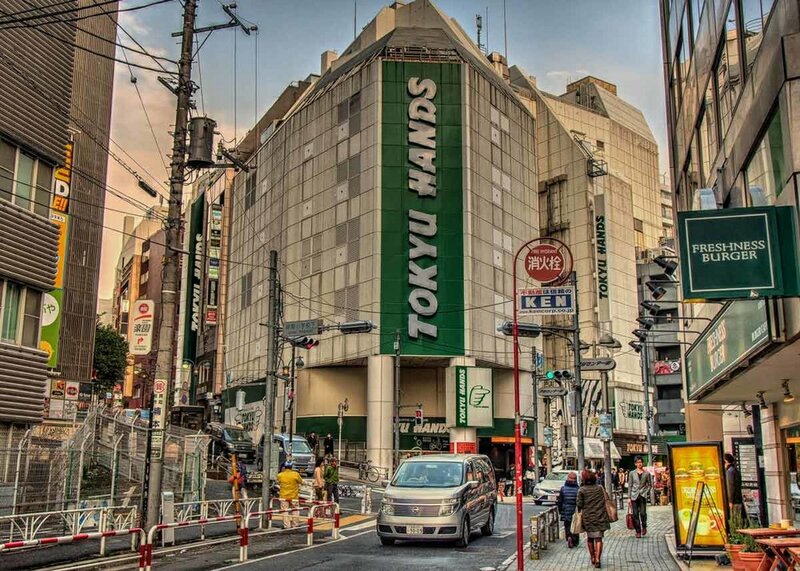 From school supplies to the latest in beauty trends, Tokyu Hands is a one stop craft shop for everything your heart desires. The brand has multiple locations throughout Japan, though the Shibuya location is convenient for to access from the popular station, and stocked high with various goods. Their arts and crafts department is extensive, to say the least. The fabrics are high-quality and simplistic, creating the perfect foundation for your creation. There is a wide range of sewing tools and accessories as well, so the sky, or seventh floor of Tokyu Hands, is the limit. For more uniquely Japanese craft supplies, check out these Fabulous Places to Buy Washi Paper! Hours: 10am to 9pm everyday. Transport: 8 minute walk from Shibuya Station. Momenya Makino is a quaint shop that is nearly bursting at the brim with product. Located in Kitazawa, it is a nice escape from the hustle and bustle of the inner-city. Regardless of your Japanese skills, the owners of this shop are very helpful and friendly for even the most novice tailor. The shop carries a variety of Japanese textiles in multiple styles such as linen, gauze, embroidery fabric, foreign prints and seasonal specialties. Transport: 3 minute walk from Shimo-Kitazawa Station. Bunka Gakuen University is a distinguished fashion school in Shinjuku. Since it is home to some of the most creative minds in Tokyo, it needs a school shop to allow even the most outlandish visions to become a reality. With special items such as a mannequin with realistic proportions, imported and Japanese fabrics, rare thread options, and bargain fabric bins, it is a heaven that you don’t need to pay tuition for admission to. The shop does prioritize students, so it is easier to get in during school events, or by using their online shop. While you're shopping for fabrics, if you want to pick up some ceramics too, we suggest the 5 Best Places to Buy Ceramics in Tokyo. Hours: 10:30am to 4:30pm Monday through Friday. Transport: 11 minute walk from Yoyogi Station. 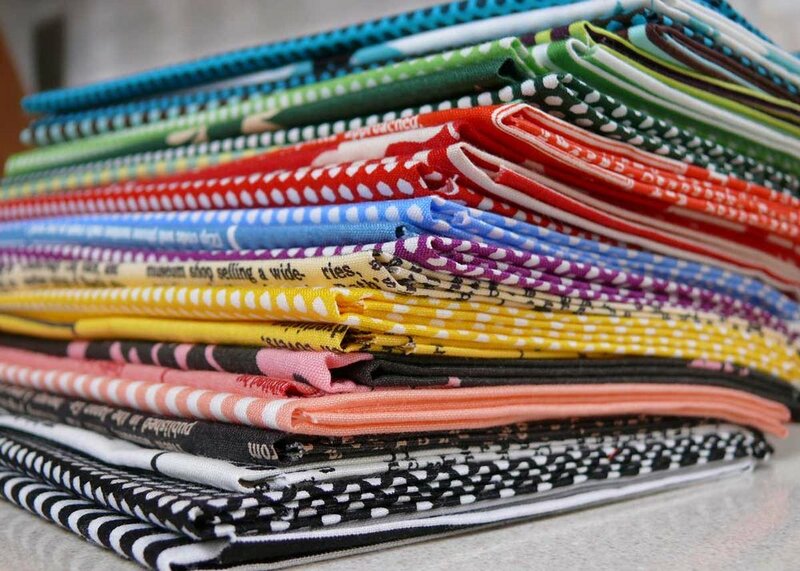 Whether you’re a long-time resident or a short-term visitor, if you’re looking for where to buy fabrics in Tokyo, with this list you’ll soon be hoarding your favorite choices by the armful. The city is a pivot of creativity and expression that is unique not only to Asia, but the world. With so many cultural and social influences to create something great, what are you waiting for? What is a Yuzen Kimono?